Our Preventive Care Plans for Dogs include a tick-borne disease screen. This test screens for Lyme Disease, Ehrlichia, and Anaplasma. All of these diseases are transmitted from the bite of an infected tick. ​In Taney County, nearly 1 in 4 dogs screened for Ehrlichia, test positive. How many dogs are Ehrlichia positive with no confirmed positive test? At our clinic, every dog is tested every year. Ehrlichia is one of the most common infectious diseases in the US. 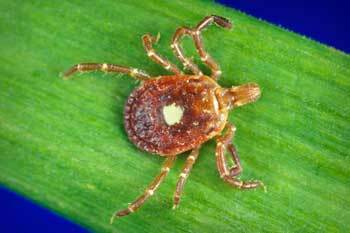 A dog can become infected within hours of the tick’s initial attachment. Symptoms of Ehrlichiosis include anemia, bleeding episodes, lameness, neurological problems, and swollen limbs. Learn how to prevent and treat Ehrlichia. 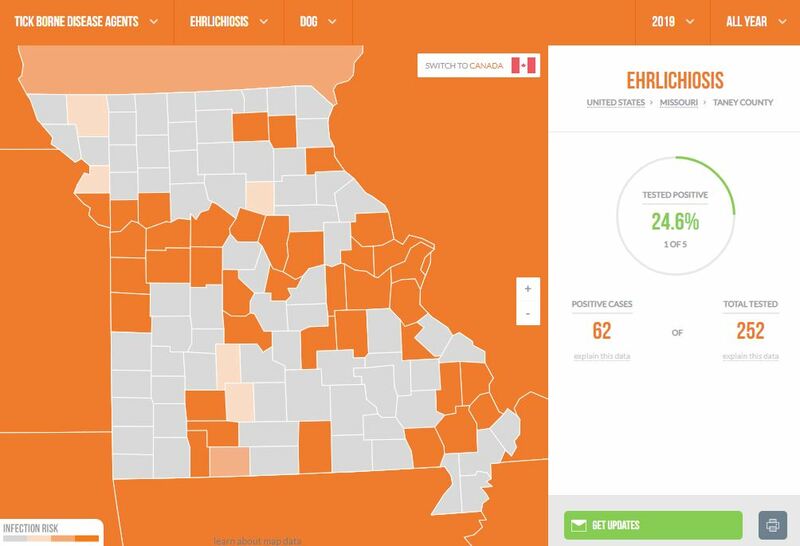 The map below shows the prevalence of Ehrlichiosis in Taney County, Missouri. The image was taken from CAPC’s website. To follow the most current statistics, click the image.